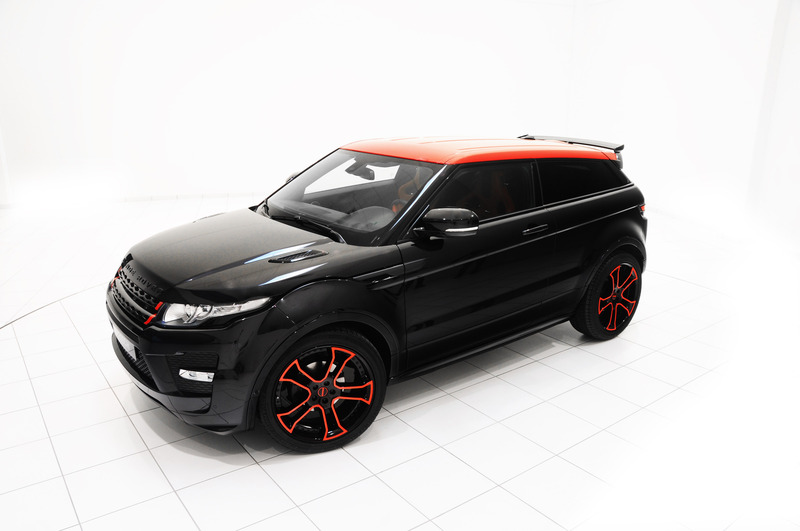 With the new Range Rover Evoque the tradition-rich British company opens up a market niche for SUVs with a distinctly modern design. 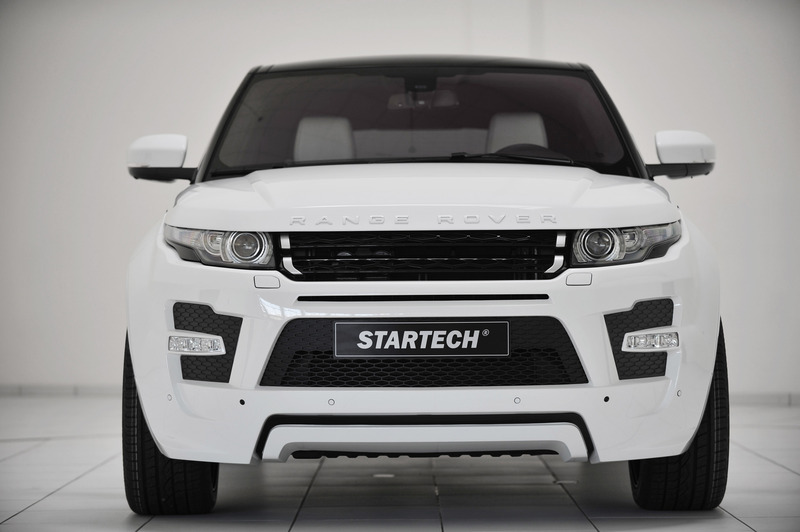 At the 2011 DUBAI INTERNATIONAL MOTOR SHOW the STARTECH REFINEMENT program celebrates its world debut. 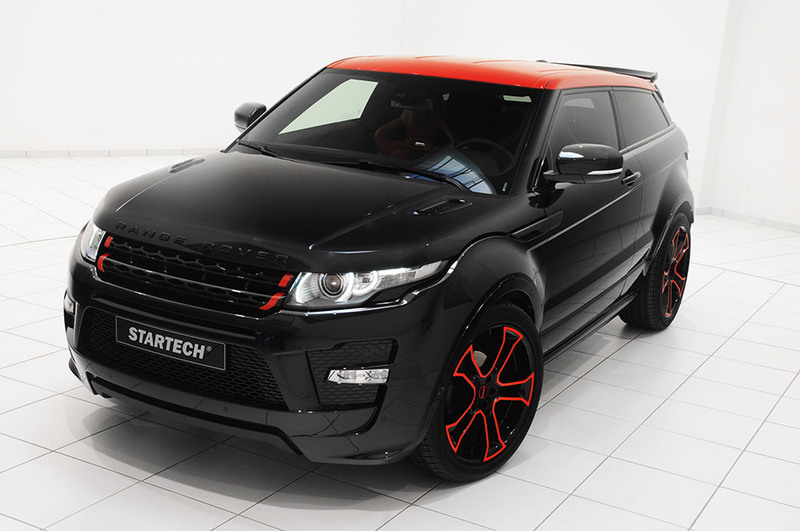 STARTECH, a BRABUS Group company, refines the new model with a sporty-elegant design program. 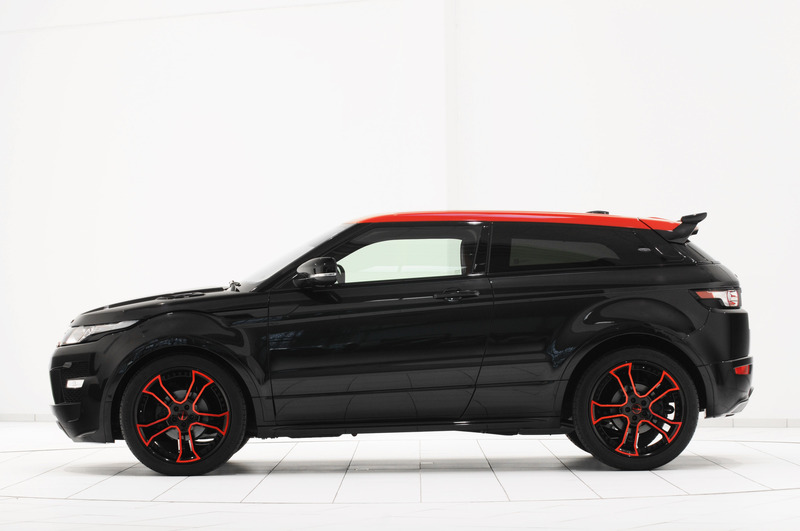 The product lineup includes custom-tailored 21-inch forged wheels, a ride-height lowering by 35 millimeters (1.4 in. ), a sport exhaust system and high-class interior options. Additional innovative products such as for example engine tuning are currently under development. 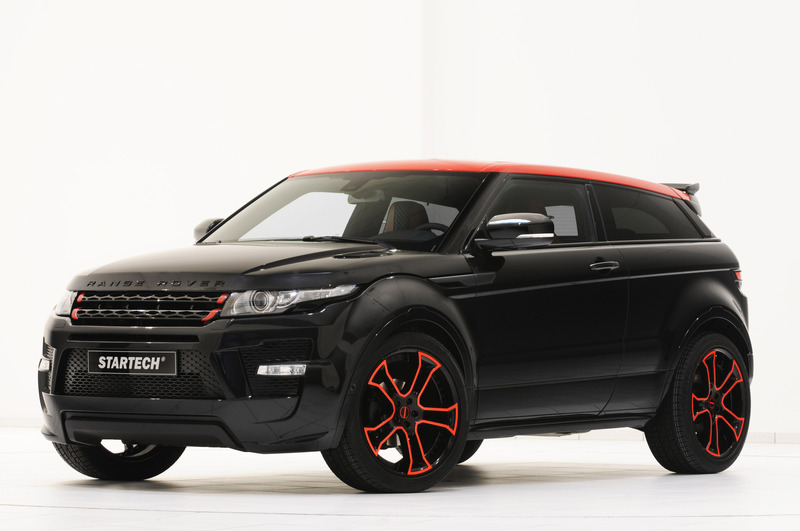 For the three-door and five-door Evoque the STARTECH designers have developed a styling program designed predominantly for on-road operation. It lends the newcomer even more carlike character. All body components are manufactured in OEM quality from high-grade Pur-R-Rim plastics. For this purpose new fasciae were shaped for the front and rear that replace the production bumpers in their entirety. The nose of the crossover receives a more dynamic profile with the striking air inlets and the front spoiler that seems to "float" in the STARTECH fascia. The shape was fine-tuned in the wind tunnel to further reduce lift on the front axle, which benefits directional stability at high speeds. 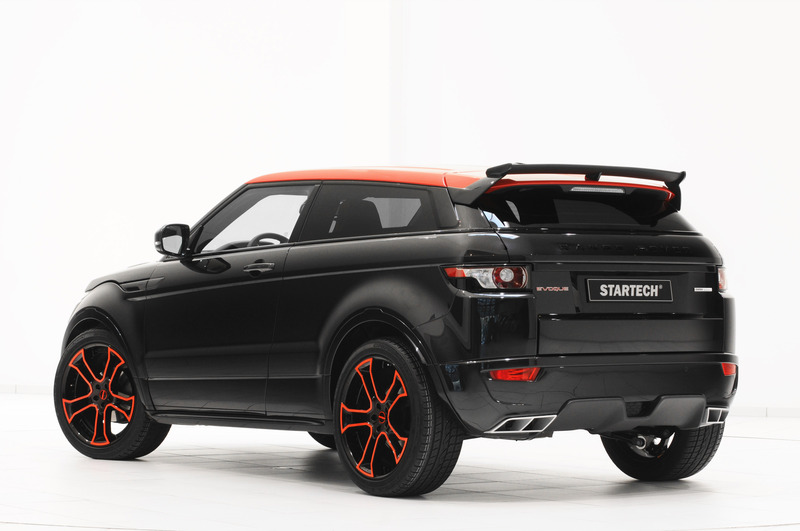 The new STARTECH rear fascia impresses with more than just an integrated diffuser: the new rear fascia also features distinctive STARTECH tailpipes that can be combined with the production exhaust or with the STARTECH stainless-steel rear muffler. In addition to its visual qualities the STARTECH exhaust system also lends the various engine variants a sportier exhaust note. 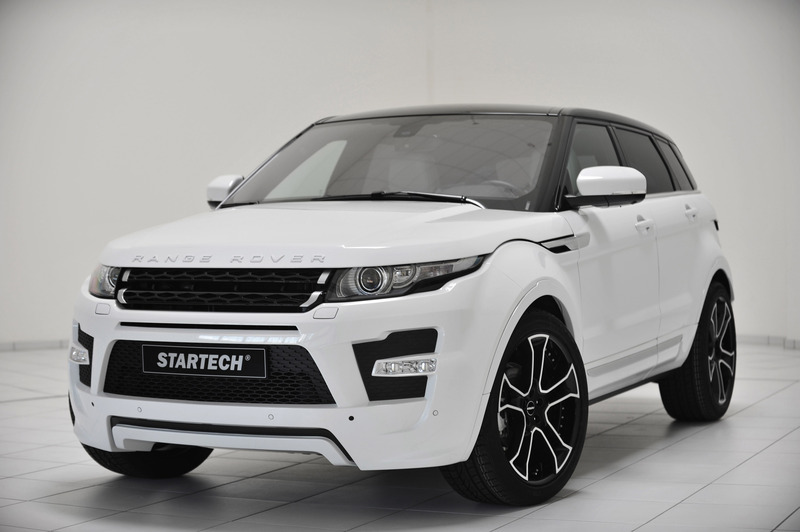 The STARTECH rear wing rounds out the markedly sporty appearance of the refined Range Rover Evoque and furthermore minimizes lift on the rear axle at high speed. 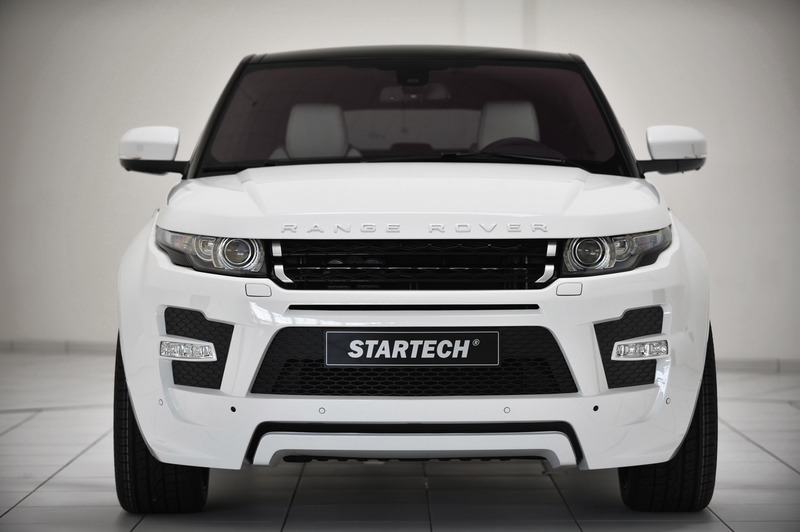 Since the STARTECH REFINEMENT design program for the new small Range Rover is intended predominantly for on-road use, the STARTECH suspension engineers have developed three-piece wheels with a diameter of 21 inches. The Monostar R wheels in size 9Jx21 are especially light and yet extremely tough thanks to the use of high-tech forging technology in their production. The five-spoke design also sets itself apart with its unusual black-painted wheel spider with polished contours. 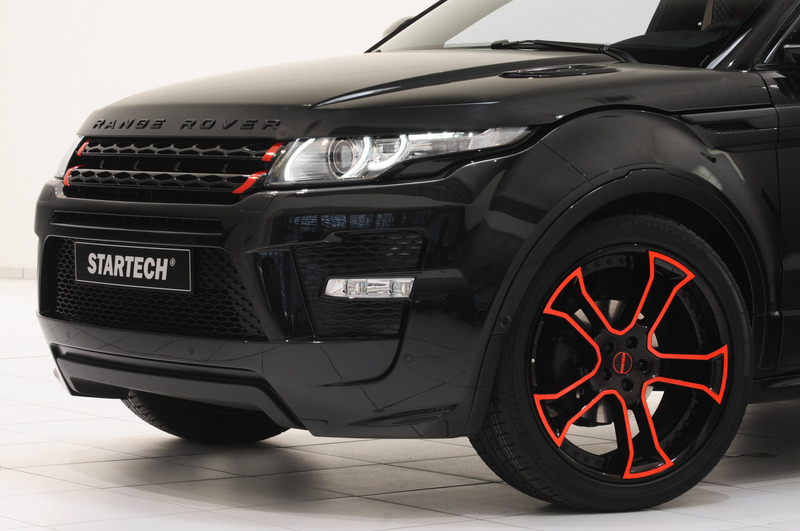 These exclusive wheels are mounted with high-performance street tires in size 265/40 R 21. 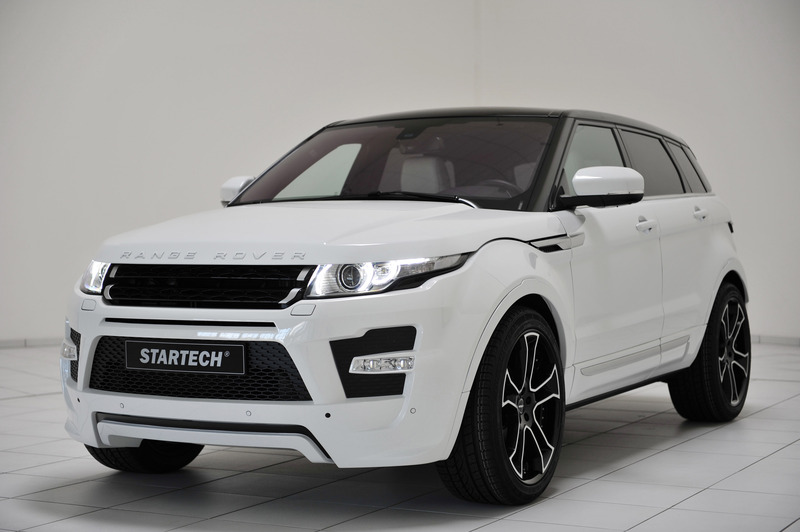 Alternatively STARTECH will in future equip the Evoque with one-piece, cast Monostar R wheels in sizes 9Jx20 or 9Jx22. The STARTECH sport springs are specifically calibrated for use with sporty low-profile tires and the production shocks. 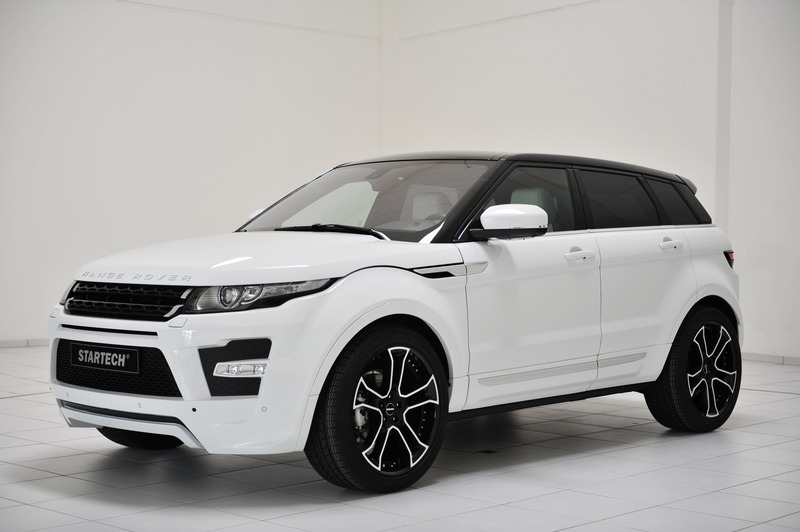 They are available for all Evoque models with front-wheel or all-wheel drive and lower the SUV by some 35 millimeters (1.4 in.). The lowered center of gravity gives the vehicle even safer and more dynamic handling. The STARTECH performance kit for the 2.0-liter SI4 gasoline engine that normally produces 240 hp (237 bhp) / 176.6 kW is already in the final stages of development. Further tuning kits will follow. Another focus of the STARTECH REFINEMENT program for this and other models is on the interior. The program comprises attractive accessories such as an ergonomically shaped sport steering wheel and aluminum pedals, foot rest and shifter. STARTECH also fulfills any special request for custom interiors in its upholstery shop. 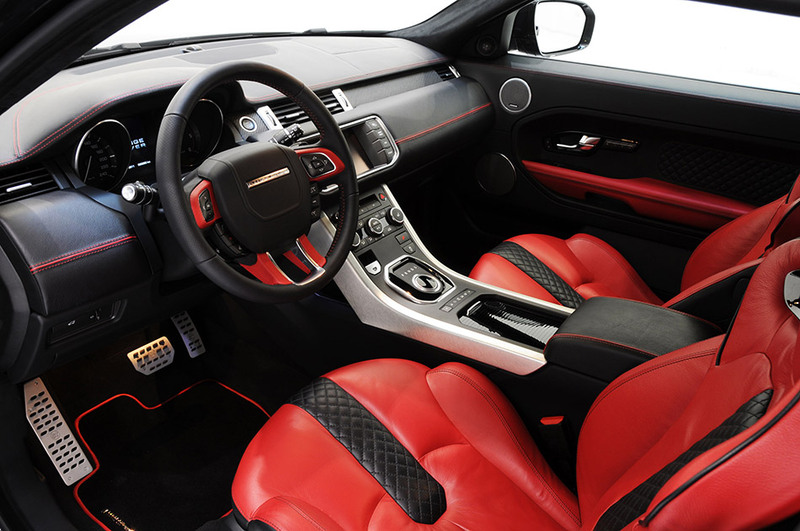 The finest leather and Alcantara can be transformed into a tasteful cockpit in any desired color and with any upholstery design. 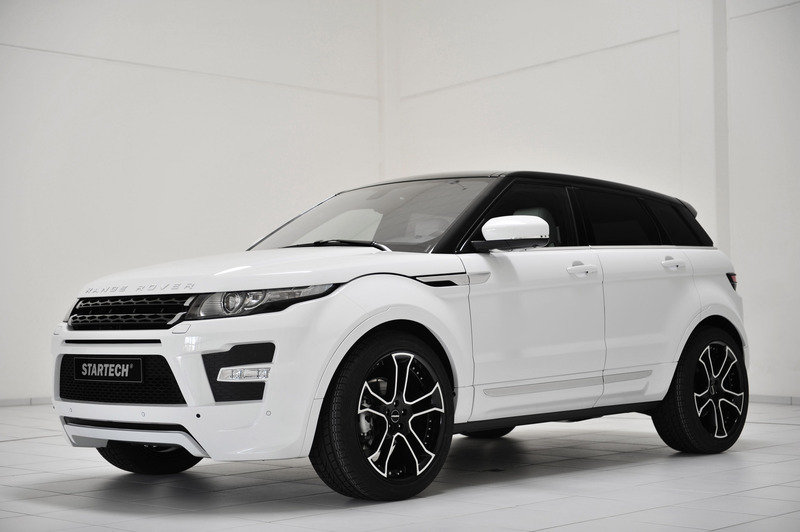 The resulting overall ambiance is either extremely luxurious or markedly sporty depending on customer preference. The perfect complements are wood or carbon-fiber trim sets in any desired color and with a wide variety of surface finishes. 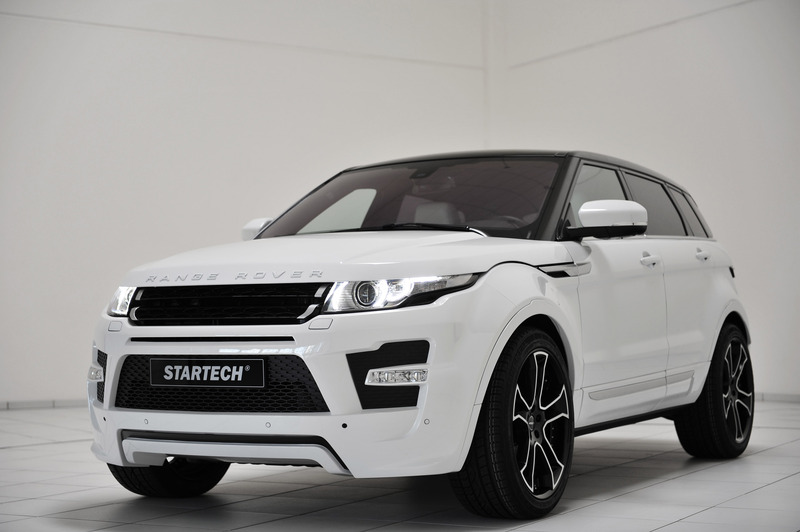 The STARTECH show car for the 2011 DUBAI INTERNATIONAL MOTOR SHOW sports an all-leather interior, every last inch of it finished to perfection. The combination of especially soft and breathable black and white leather sets itself further apart with diamond-shaped precision topstitching. The headliner and the A-, B- and C-pillars of the five-door car are trimmed with Alcantara in the same colors. Green contrasting dual ornamental seams add meticulously crafted highlights. Carbon-fiber elements whose material structure can be explored by the occupants' fingertips also represent an extraordinary addition. The inlays on the dashboard of the show car are black; the ones in the center console come with a silver finish.